Monica Seeley was born in London where she lived and worked for over forty years. She now lives in Dorset. Monica has spent the last twenty years coaching and helping business people to use technology more effectively and especially email. Monica has worked with hundreds of organisations and people from all sectors and walks of life to save time dealing with their email and reclaim their lives from the inbox. ‘Brilliant Email’, her third book, draws on the wealth of experience gained from her work and research. As a Senior Visiting Fellow at Sir John Cass Business School, City University, her research includes gender differences and electronic communications, the future of email and the role of social networking for business communications. She is a regular contributor to TechRepublic and has a monthly slot on HotRadio. Until 2008 Monica was author of The Times Crème Section column ‘PC Stress Busters’ and is co-author of ‘Managing in the Email Office’. As the Emaildoctor, she posts daily tips on email best practice on Twitter. . Both the national press (including the Financial Times) and BBC radio often seek her views and opinions on breaking news related to email. Living in Dorset, Monica is passionate about ensuring there is accessible affordable fast broadband across the County. 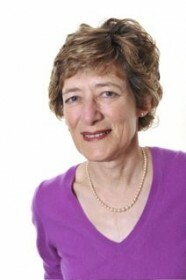 Until recently she chaired the ‘Digital Dorset Taskforce’ for the Dorset Chamber of Commerce. Outside work, her great loves are golf, classical music and the theatre.